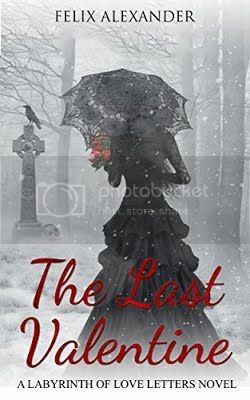 The fate of two best friends and the secret love between them is known only to a mysterious figure who offers to aid one in hiding the truth from the other ... lest their lives and love meet a tragic end. When Olivia Villalobos finds a bloodstained love letter, she endeavors to deliver it before Chief Inspector Sedeño finds it in her possession. A city along the southern coast of Puerto Rico emerges in the aftermath of the Spanish-American War. Olivia, daughter of a drunkard police investigator who never knew the truth behind her mother’s disappearance, finds a bloodstained love letter in the hidden compartment of her father’s coat. Convinced it belonged to the man recently found dead, she sets out to deliver it to the Labyrinth of Love Letters: a mysterious place believed to be an urban legend where the transients of forbidden love leave missives for one another. She enlists the help of Isaac Quintero to find the Labyrinth, and they soon realize their quest has opened the door into Old Sienna’s darkest secrets -- the perils, madness and depth of tragic love. Felix Alexander is a Mexican-born, American-raised novelist, and poet of Mexican and Puerto Rican descent. 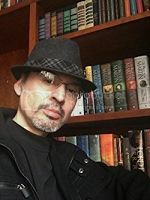 Acclaimed by readers for his poetic prose, his indie releases include: Dear Love: Diary of a Man's Desire, a collection of love letters and poems; The Romantic: A Love Story; and most recently an epic historical fantasy, Shadows of Time: The Amulet of Alamin, along with a mystery-thriller, The Secret of Heaven.